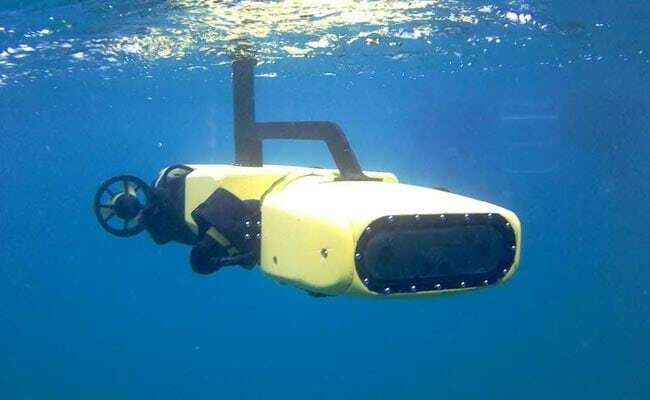 A submarine robot has been developed that has the ability to hunt and kill the Predator such as Crown of Thorns the Starfish that destroy the Great Barrier Reef, as reported by the Australian researchers yesterday. The scientist at Queensland University of Technology where reported saying that the robot named RangerBot has been developed with a grant from the Google and will serve as a Robo reef protector from the World Heritage site of Australia is in the north eastern coast. As stated by Matthew Dunbabin, the QUT professor who unveiled the submarine, RangerBot is the world’s first underwater Robotics system that has been customised specifically for protecting the coral reef environment. With the help of robot vision for real time navigation, complex science missions, and obstacle avoidance, this robot has been developed to protect the coral reefs from Starfish. The robot has been trained to detect and identify the Crown of Thorns starfish and comes with 99% accuracy and it can also inject the Coral eating starfish with vinegar and bile salts that both deadly to the basic predators. Dunbabin was reported saying about the RangerBot that the Robot is not only autonomous but it can also stay underwater three times more than that of a human diver and can operate in all weather conditions. These robots can be underwater for more time as compared to that of humans and then keep and watch the Great Barrier Reef from the core of the ocean and kill the invaders who try to damage the place. He was also reported saying that this robot is an impressive piece of technology that comes in the deliberately low cost and allows production to be scaled up once the next level of operational testing has been finished and all the important approvals are in place. He said that the team who developed the machine hope to eventually launched the RoboBot up the length of the 2, 300 km long coral reef. Anna Marsden, the managing director of The Great Barrier Reef was reported saying that this robot can become an extra pair of eyes and hands for the front line staff managing the reef. She also said that because of its size and complexity, the reef is not able to be managed properly and an effective management cannot be processed in such a huge area. RangerBot is a collaboration between QUT, google and the Great Barrier Reef Foundation. It is a huge step taken by the researchers and the foundation to protect the natural ecosystems underwater without extensively spending a lot of money and time.